From washing machines to dishwashers and ovens, white goods have sensitive components that can easily get damaged if you don’t take special care during the removal process. Thankfully, there are quick and easy ways to make sure your white goods arrive safely at their new home. Most people will agree that transporting your appliances from one house to another is the most stressful part of moving. They are typically the largest, most bulky, and awkward items in your home. 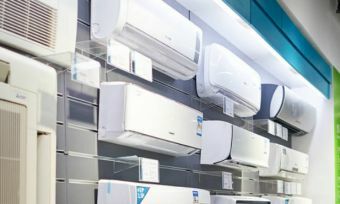 Plus, they also have sensitive moving parts and electrical components that can damage easily if they are not prepared in a specific way. Before moving your washing machine, unplug it from the power point and disconnect the hose from the plumbing outlet. Place the hose into a bucket or nearby floor drain and let the excess water drain. Also, tape the power cord to the machine itself and make sure the hose is completely dry. Next, you have to secure the drum. Each washing machine has in-built suspension that normalises how much the drum shakes during a wash cycle. If the suspension is damaged during transit; the drum could start to vibrate, tilt to one side, or shake inconsistently. There are two ways to secure a washing machine drum. The recommended way is to install transit bolts into the back of the machine through the dedicated transit bolt holes. If you have lost or misplaced the bolts, you can take off the machine lid and pack a bed sheet over the drum, which will help restrict movement during the (potentially) bumpy ride. When transporting your machine to the truck, either get 2 people to manually lift the machine or use a hand trolley. Finally, don’t lay the washing machine onto the side or back, or else water inside the machine could reach the electrical wires and cause permanent damage. 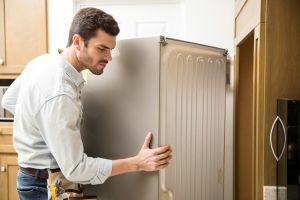 Luckily, there’s not much prep-work involved in moving your fridge and freezer… but they must be handled with care to avoid personal injury. In the lead up to the moving day, consume as much leftover goods as you can and throw out anything nasty you find near the back. You should also take this opportunity to properly clean the fridge and defrost the freezer. 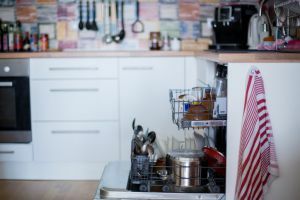 Sure, you probably have a million other things to do before the moving day, but think of how nice and clean your white goods will be when you restock them at your new place? When it comes to transporting your fridge and freezer, they should be last on the truck and the first off at your new place. During transportation, it’s recommended you sit these appliances upright. If you have no choice but to lay them down, sit them upright for at least 24 hours before plugging them back in. Removing the dishwasher means you have to disconnect the water supply and slide the appliance out of the enclosed cabinet space. Before removing the dishwasher, you should first switch off the electricity and turn off the water under the sink. You’ll also need to disconnect the drain line and let the excess water drain. Most dishwashers are installed onto a sub-section of the floor that’s slightly lower than the rest of the surface. To avoid scratching the floor, place a few towels or newspaper onto the surface and gently lift the machine out of the concealed space. Finally, use a hand trolley or get at least two people to safely transfer the machine to the truck. 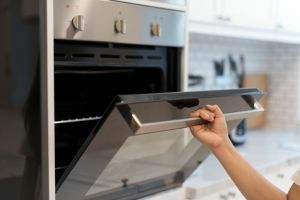 Whether you have a wall-mounted or freestanding oven, you need to remove it with care to avoid damage to the appliance and the floor underneath. Most wall-mounted ovens are installed within an enclosed cabinet that offers limited access to the gas and electrical connections. To access the rear control panel and release the connection, you need to remove the wall oven door and any separate trim pieces that hold it together. You also need to remove any screws around the edge to release the oven from the wall. If your oven has a built-in gas stovetop, you have to shut off the gas supply before you disconnect it. To switch off the gas supply, check the owner’s manual to find and switch off the isolation valve that controls the gas supply. Of course, if you don’t have the tools and know-how to remove it yourself – a professional removalist can safely disconnect and transport your white goods with care. Moving from one house to another is a physically and emotionally stressful experience. By knowing how to safely prepare and move your white goods, you can reduce the stress of moving and relax knowing your appliances will arrive safely at your brand new place. And if you plan on hiring a professional removalist, you’ll be able to make an informed decision on the company you choose.